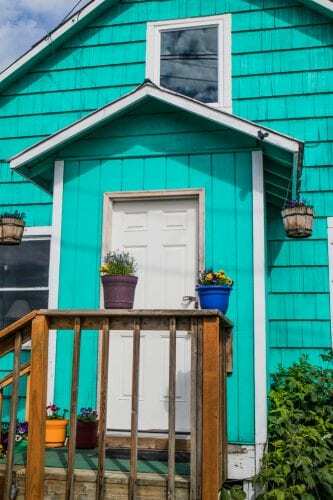 Our next stop, Wrangell, is a small town located at the heart of the Inside Passage and the Tongass National Forest. 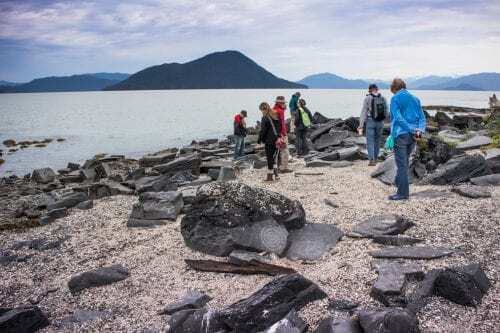 Our group took a short hike to Petroglyph Beach State Historic Park. 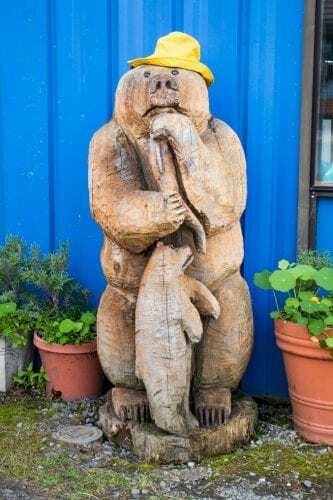 The park has the highest concentration of Native American petroglyphs in the southeastern region of Alaska. At least 44 petroglyphs have been found on the boulders and bedrock outcrops on the shore just below and above the mean high tide. It is thought that members of the Tlingit tribe made these drawings 8,000 years ago. 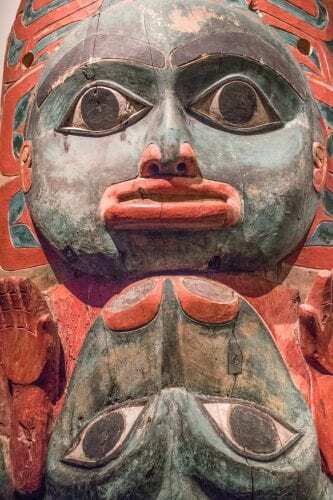 The figures depict Orca, salmon, and other culturally significant figures. Exploring petrogylphs etched in stone by original Native inhabitants. Next, we visited the museum and former home of Tlingit Chief Shakes. 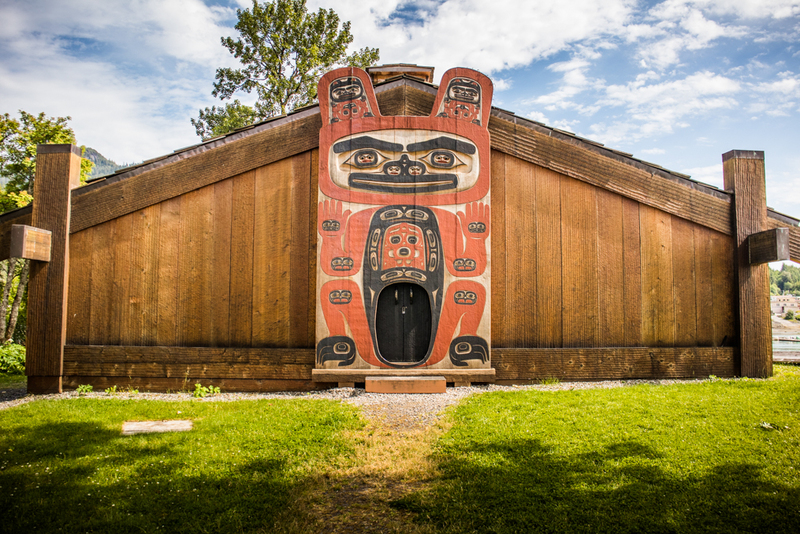 According to some sources, Chief Shakes is a distinguished Tlingit leadership title passed down through generations among groups of native people from Northwestern North America.The replica clan house was built in 1940. 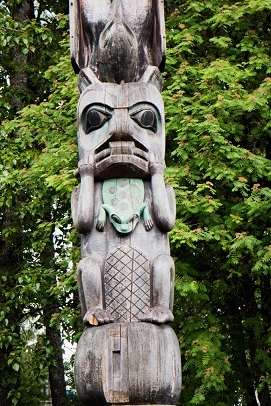 Behind the house, several totem poles can be seen laying horizontally under a protective awning.